This has been quite a week for receiving packages from afar. On Monday, a box of oranges and lemons came from my blogging friend Betsy. 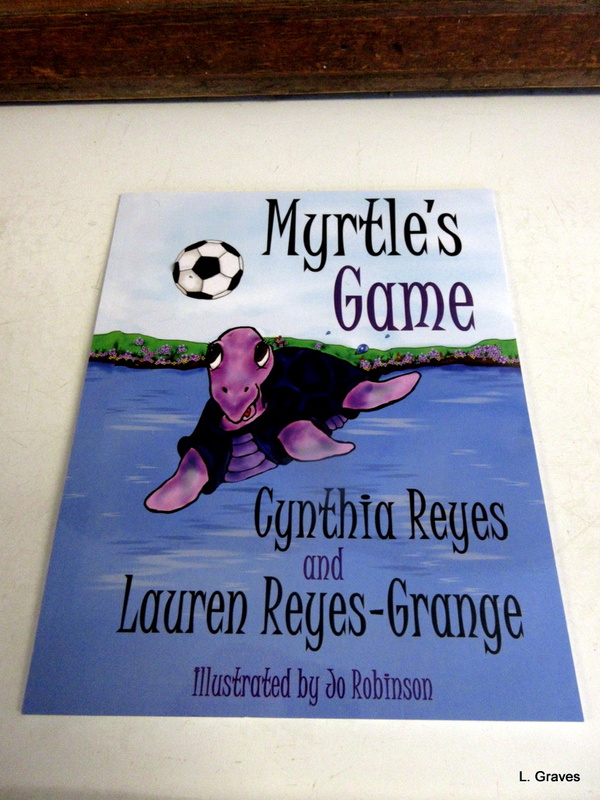 Today, it was a book—Myrtle’s Game by the mother and daughter team Cynthia Reyes and Lauren Reyes-Grange. Myrtle’s Game was sent all the way from Canada by the author herself. Oh, the wonderful world of blogging! While their feelings might be hurt, Myrtle and her friends are not discouraged, and they come up with a way to be included in the game. 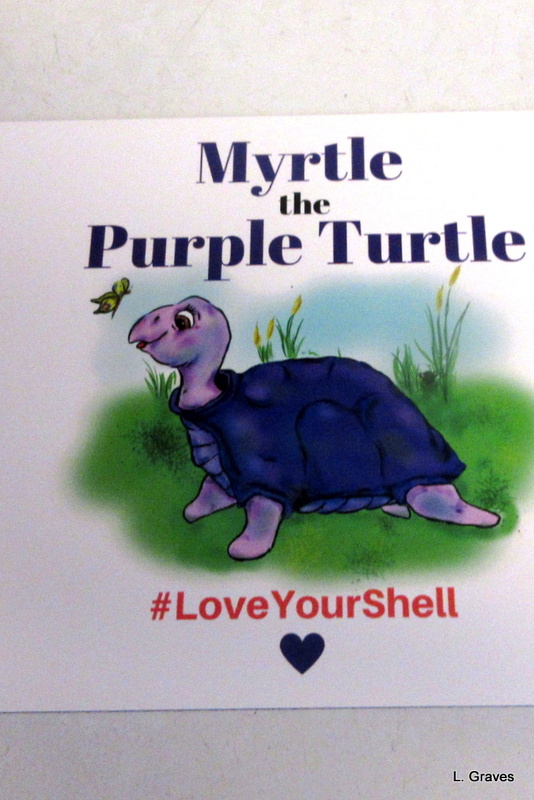 Most young readers will have had experiences similar to Myrtle and her friends. Because of this, children will be able to identify with the turtles and admire their persistence. By the end of the story, a lesson is learned, and it is a good one. Jo Robinson’s vivid illustrations are both energetic and friendly, exactly right for young readers. Along with the book, Cynthia sent me a magnet, which is now on my refrigerator. What better words for these times, when some “shells” are considered better than others? This is a wonderful book! I wish the Myrtle series had been around when I was young. Thanks for sharing. I will look forward to getting copies for the little people in my life – and me! Ooohhh! First review I have for Cynthia’s new book (my copy is waiting reading. Oh, so many books lined up in my reading queue from Christmas). Thanks. Anyway, visiting family in Rhode Island. You can imaging watching the Patriot’s game last night here. I think my borther-in-law gained 5 yards every time he charged the TV because of good play or bad referring. That’s one way to get you 10,000 steps in on a miserable, cold, rainy Sunday. I got mine refilling my tea cup. Ahhhh! Thank you, Laurie for this excellent review! Lauren and I are excited and grateful. Mind you, I am riveted to a book titled Library Lost and can barely tear myself away to reply to your post. That’s what you get for writing such a compelling book. I was up in the wee hours reading again and didn’t get to sleep till hours later and nearly missed a very important appointment! And it’s all your fault! You’re most welcome. ‘Twas my pleasure! And many, many thanks for the kind words. Music to a writer’s ear, that’s for sure. Just finished reading at around four this morning! Holy purple turtles, but in a song…. From blogger Laurie Graves, author of Library Lost (more on this magical book later) comes this beautiful review of Myrtle s Game. 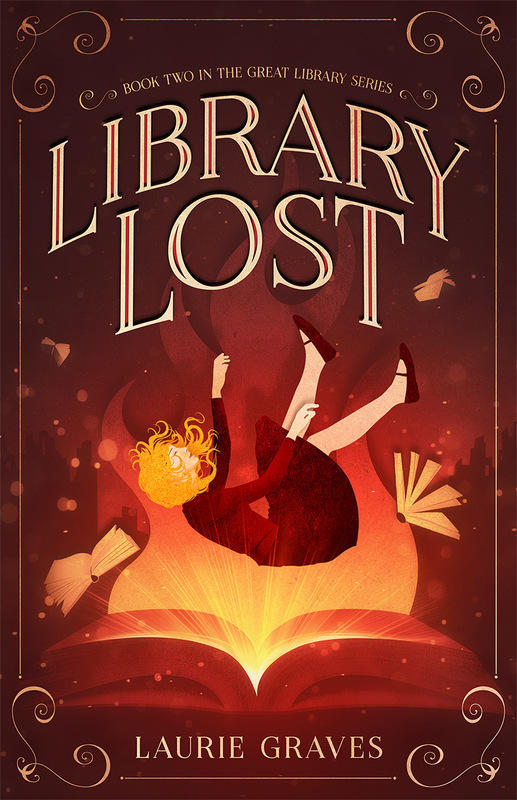 The funny thing is, I was so absorbed in reading Library Lost, I didn t even know about this review till my co-author, Lauren, told me about it! Thanks, Laurie!